The North American T-6 advanced trainer is featured throughout Roseanna’s Reply. 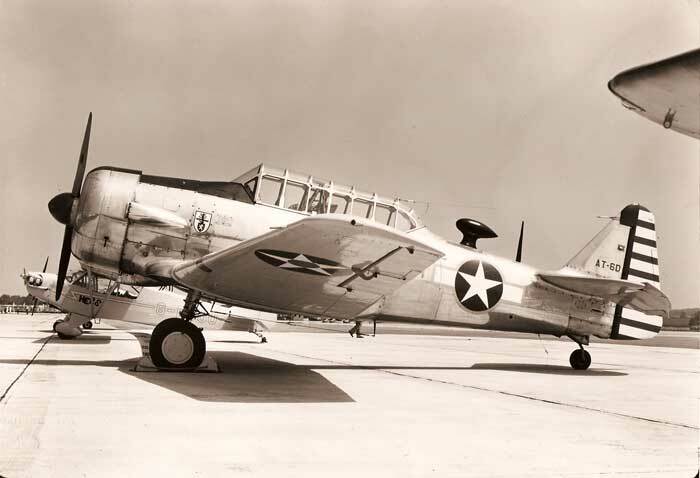 It was the best flying, toughest trainer of WWII and was so highly regarded by the Air Force that it remained in service into the 1950’s. Because they served mainly on the home front, it was here that many were eventually sold as surplus and explains why there are so many still flying today in the hands of civilians. Sorry, I don’t have a photo credit for this fine shot, but my guess would be that it was taken at a 1960’s or 1970’s era air show. There appears to be an Aeronca Champ in the background. Roseanna and Spencer make use of this little airplane in the book, as well. Design by USAMotorHost.com © 2009-2019 Frank D. Johnson All Rights Reserved.